There was a mild drama thursday in the House of Representatives following the defection of another member of the Peoples Democratic Party (PDP) representing Egor/ Ikpoba-Okha federal constituency of Edo State. In his letter of defection which was read on the floor of the House by the Speaker, Hon. Yakubu Dogara, he cited among other things, division within the PDP for leaving the party. 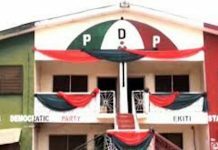 He said his former party had shut the door against him, prompting him to eventually resign his membership of PDP. But in a rare show of courage, his exit from PDP rather than being a source of concern to his colleagues, was welcomed by them. 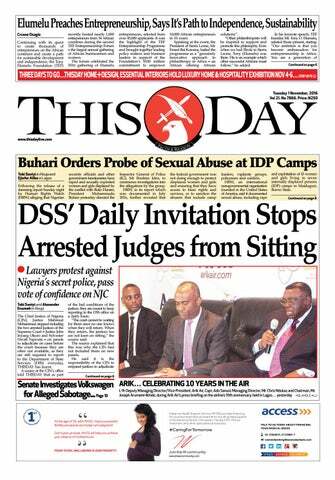 It was the first time the PDP would openly celebrate the defection of a member to another party in the House. While there was celebration within the APC caucus which welcomed him, members of the PDP bade him farewell, chanting â€˜shameâ€™ at him. 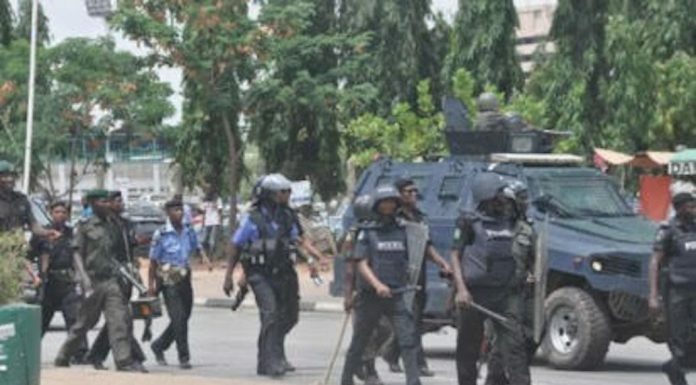 His defection was witnessed by the Edo State Deputy Governor, Philip Shaibu, a former member of the House- who was earlier admitted into the chamber to observe the proceedings. He said his former party had been factionalised, adding that a house divided can never stand. 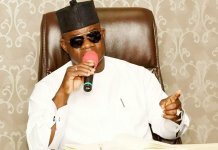 He said he had resigned to join the good works of President Muhammadu Buhari to succeed and help the Edo State governor achieve his goals for the state. Agbonayinma also said he would have decamped before now but for his colleagues in the PDP who kept begging him to stay back. 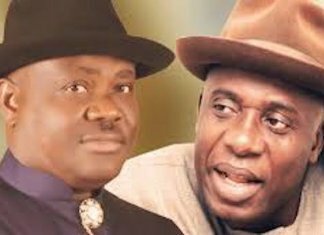 He said he could not cope with a situation whereby the PDP now has two distinct secretariats as a result of the internal crisis resulting from its recent national elective convention which produced Uche Secondus as the partyâ€™s national chairman. The lawmaker described as corruption and impunity on the part of the party whereby one of the candidates for the chairmanship position, Mr. Taoheed Adedoja, has had his name removed from the list and a new â€œunity listâ€ tendered. â€œThe unity list brought disunity,â€ he said. However, in his remarks, Gbajabiamila had expressed concern that the continued defection of PDP members to APC had the potential to make the lower chamber to fast become a one party House. He said the trend if allowed to continue, could reduce the vibrancy of the opposition in the House. He obviously offended his PDP colleagues last Tuesday when a former member of the party, Hon. Raphael Igbokwe, defected to the ruling party. Against the mood of other PDP members, Agbonayinma stepped forward and congratulated the defector while his colleagues mourned. 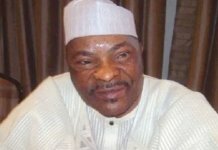 And to worsen the matter, Agbonayinma who had a motion to move on the House floor, immediately after Igbokweâ€™s defection letter was read by the Speaker, refused to join other aggrieved PDP members when they stormed out of plenary to address journalists over the controversy which emanated from the defection. Essentially, as the PDP caucus was addressing the media at the House press centre, Agbonayinma was busy moving his motion on the floor of the House. Immediately after the briefing, when his colleagues retuned to the chamber to continue with the dayâ€™s proceedings, they met Agbonayinma taking his motion. They waited patiently until debates were concluded and the Speaker put the question to the House. To the surprise of everyone, there was a resounding â€œNayâ€ from majority of the members, particularly members of his caucus. The Speaker, sensing an ambush, again, put the question afresh to the House and this time, the â€œNayâ€ voice vote became the loudest and his motion, which looked set to sail was defeated. That appeared to be the last straw which broke the camelâ€™s back for Agbonayinma, who also cited the scenario as one of his other reasons for abandoning PDP. â€œToday is the day the Lord has made and I must rejoice and others must join me to rejoice in it,â€ he said.